Cyclopentasiloxane, Paraffin, C1112 Isoparaffin, Polybutene, Hydrogenated Cottonseed Oil, Mica, Simmondsia Chinensis (Jojoba) Seed Oil, Ceresin, Ozokerite, Microcrystalline Wax (Cera Microcristallina), Tocopherol, Ascorbyl Palmitate. [+/: Iron Oxides (Ci 77491, Ci 77492, Ci 77499), Titanium Dioxide (Ci 77891), Ferric Ferrocyanide (Ci 77510)]. 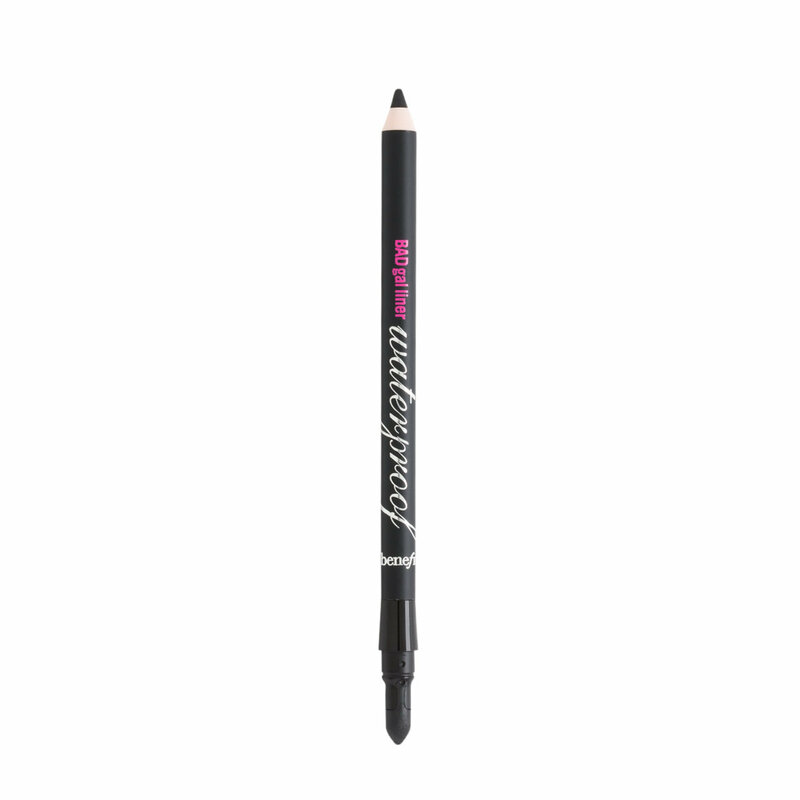 Benefit's slimline BADgal liner waterproof eye pencils are long-wearing, so they stay put in rain or shine! With the versatile blending tip on one end, you can create soft definition or sultry drama. It's wet and wild… and worry-free! For flawless application in a wink, rest the pencil on the top of lashes and line across for definition. For a softer line, blend with the sponge tip. This is a great eyeliner. It doesn’t run and feels very comfortable on the eyes. Another great product from benefit cosmetics looking forward to what they come out with next.